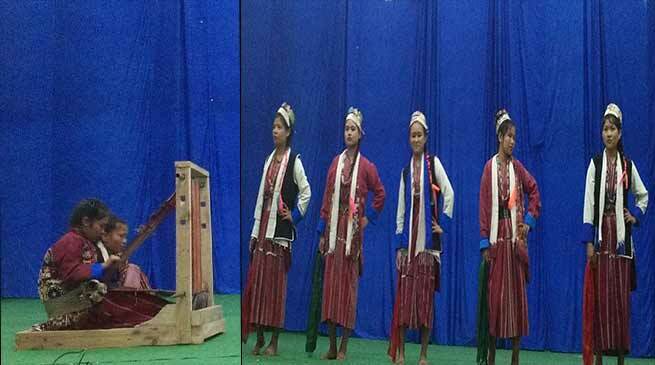 Department of Education west kameng District under the aegis of District Administration West Kameng District has organized one day kala Utsav competition on 22 September at Govt Higher secondary School Auditorium Bomdila. In this kala utsav students of Govt Higher Secondary School Bomdila, Govt Higher Secondary School Dirang, Govt Higher Secondary School Kalaktang, Govt Secondary School Namsu, Govt Secondary School Ramacamp and Govt Secondary School Kakaling were Participated. Govt Higher Secondary School Bomdila has performed Monpa group dance, Govt Higher Secondary School kalaktang performed visual arts on Putang shing means noodle making device and theatre on khandro Drowa zangmo, Govt Higher Secondary School Dirang performed Monpa local Dance, Govt Secondary school Rama camp performed Monpa folk Dance, Govt Secondary kakaling Bomdila has a play on EKTA KI VISHESHTHA on theme of EK BHARAT SHRESTHA BHARATA and Govt Secondary School Namsu has performed theatre on dry picnic ( pangsang in Monpa dialect ), visual arts on traditional Monpa carpet making and bag making and Aji lamu dance. Deputy Director of School Education West Kameng District , Dorjee wangdi kharma on his address, suggested to the students you must be all-rounder in every field like sports and culture but your first and for most duty to study hard for your future. In theatre play Govt Secondary school Kakaling, Govt Higher Secondary School kalaktang and Govt Secondary School Namsu has bagged first, second and third prize respectively.